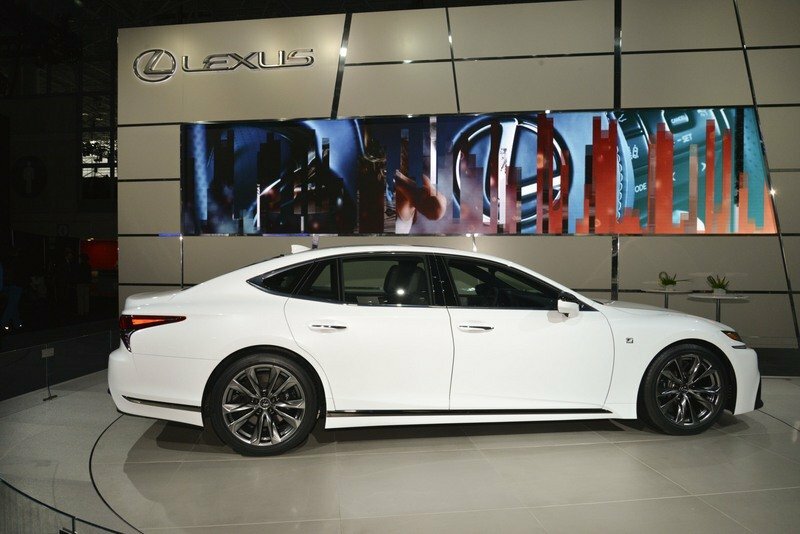 Lexus just presented the new LS 500 at the Detroit Auto Show as a 2018 model that’s set to go on sale in the fourth quarter of 2017. 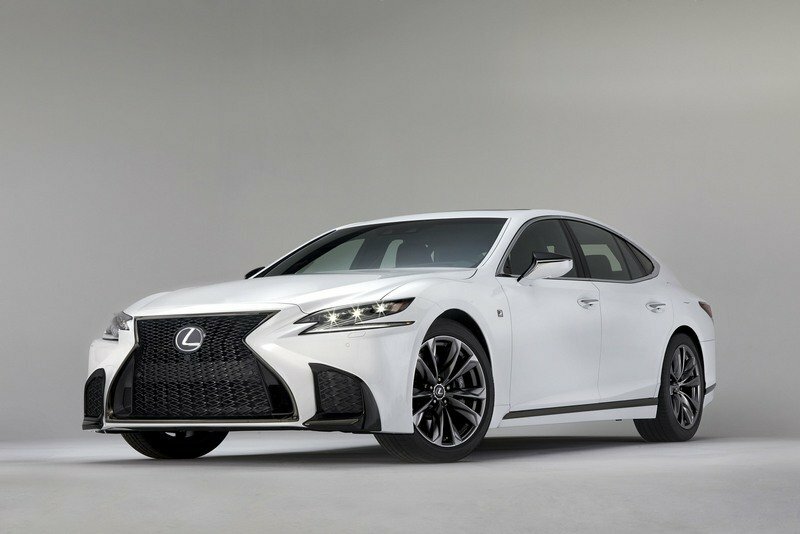 It’s only been a few months, but Lexus has moved forward already by announcing the Lexus LS 500h and now, at the New York Auto Show, the Lexus LS 500 F Sport. 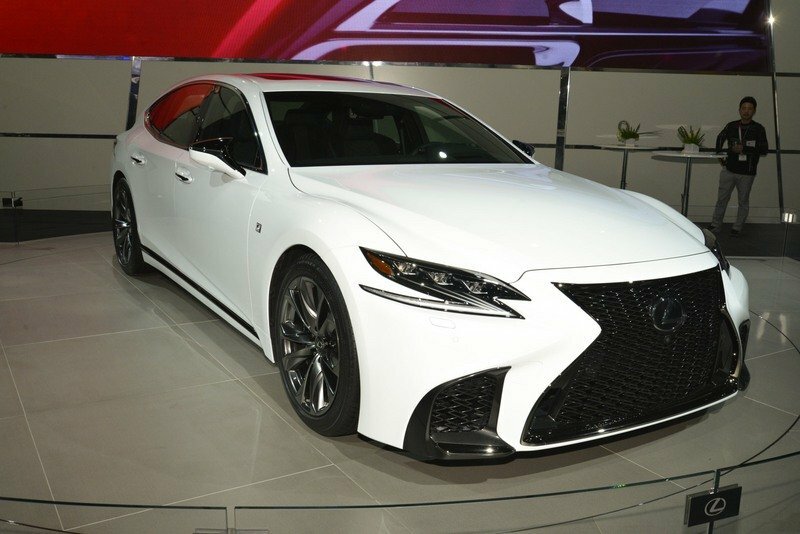 Lexus will lead you to believe that the new F Sport offers an enhanced driving experience over the standard LS 500, but once you dig through all of that PR talk, you’ll find that the big motivating factor – that 3.5-liter V-6 – offers the same 415 horsepower and 442 pound-feet of torque. 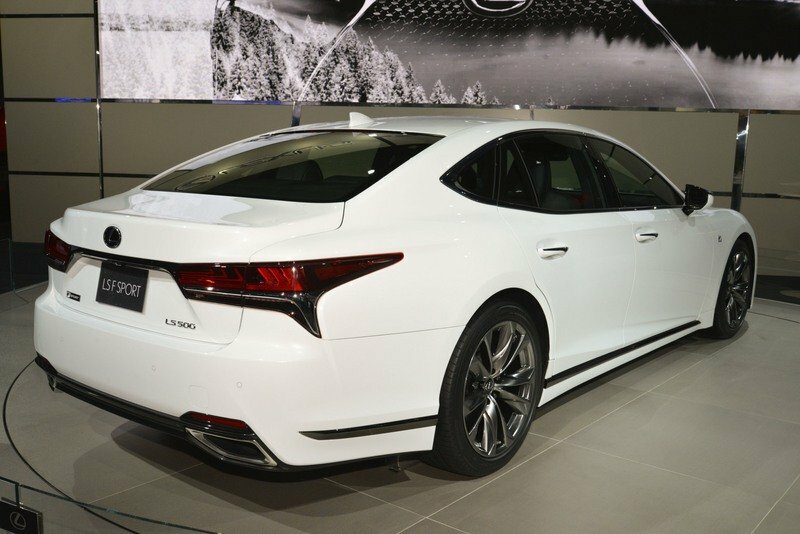 There are some chassis upgrades, however, that includes an update to Lexus’ VDIM system, a system that integrates ABS, traction control, stability control, EPS and a few other functions all into one box. 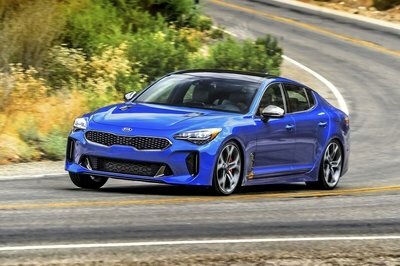 Now, the system is able to control all vehicle subsystems including braking, steering, powertrain functions, and the suspension system, all of which is based on vehicle motion, yaw, roll, and pitch. So, when you think of it that way, perhaps the F Sport does offer an enhanced driving experience, but for now, it’s just words. We’ll have to reserve judgment until we actually get behind the wheel. 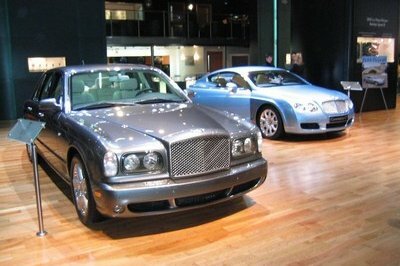 But, it’s not all about what happens under the metal as there are some interior and exterior changes to speak of as well. Keep reading to learn more about what the F Sport will offer when it hits dealers later this year. 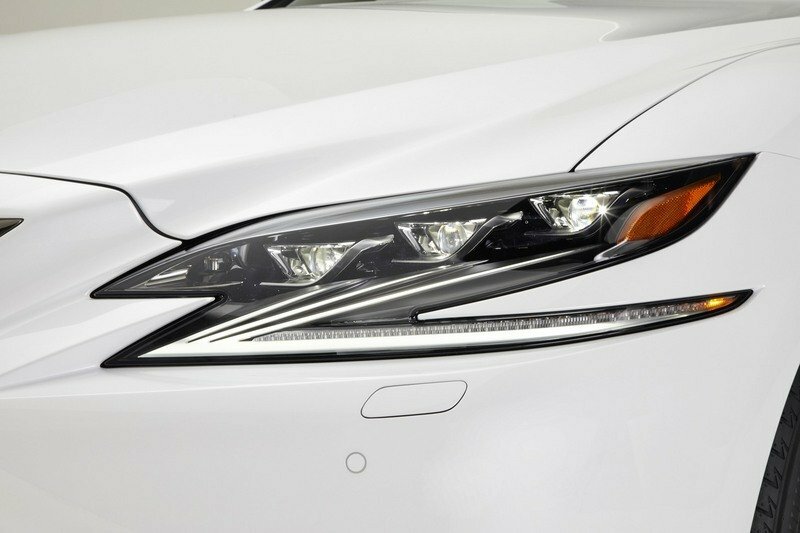 The biggest exterior change that comes along with the F Sport model is the new grille up front. 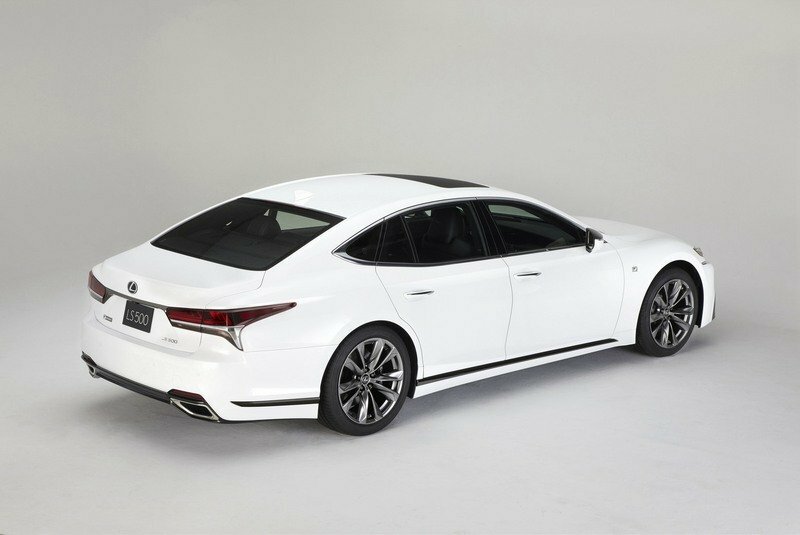 Instead of having the chrome crosshatch look like we saw on the LS 500, the F Sport gets a different look that includes 10 columns of zig zag lines that run vertically from top to bottom. Down in the corners of the grille, Lexus added a pair of functional vents that are said to help increase cooling of the engine bay. 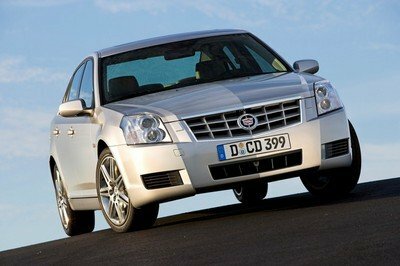 The inner trim of the grille is finished in gloss black while the outlying trim is finished in a dark chrome. The fake vents in the corner of the bumper get the same weird mesh design to go with a gloss black surrounding insert. The F Sport looks pretty good, but it still would have been nice to see a small bump in power over the standard LS 500. The side profile gets a dark chrome trim insert on the side skirts, while the wheels have a darker finish as well. Around back, you’ll find that the black chrome insert from the side skirts carries over to the sides of the rear fascia. 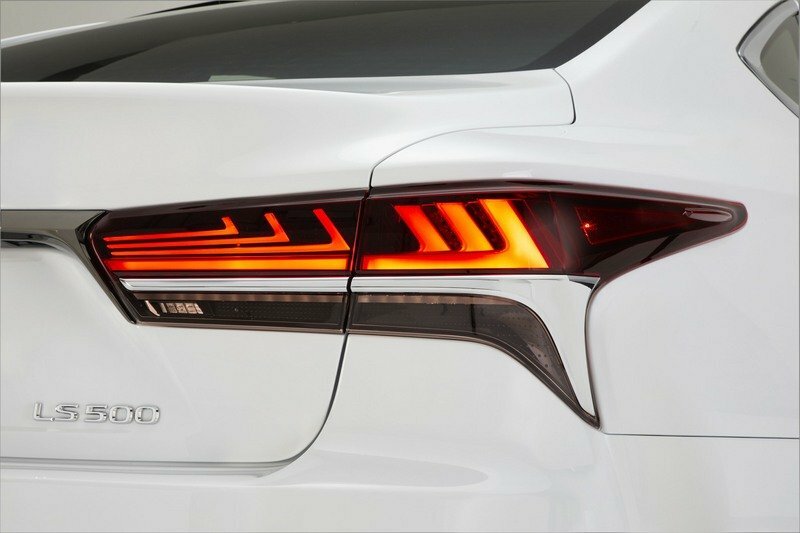 The chrome trim between the tail lights gets the same treatment. 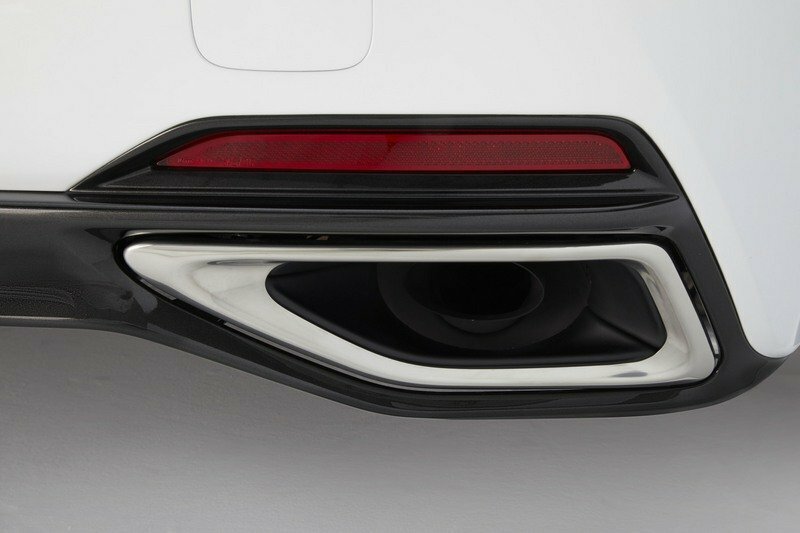 The insert at the bottom of the rear fascia that surrounds the exhaust outlets is also finished in gloss black. With the body finished in white, all of the black accents actually look pretty nice. Inside, you’ll find an F Sport-exclusive front seat that is said to offer “enhanced support” and also features a perforated grille pattern on the seating surfaces. The interior trim inserts are now scored aluminum, a feature that adds just a little extra character to the cabin. The seats are upholstered in Ultrasuede, as is the headliner, and the pedals are finished in aluminum – yet another nice touch. As an option, you can choose a new Circuit Red interior, but it will certainly come at a cost. 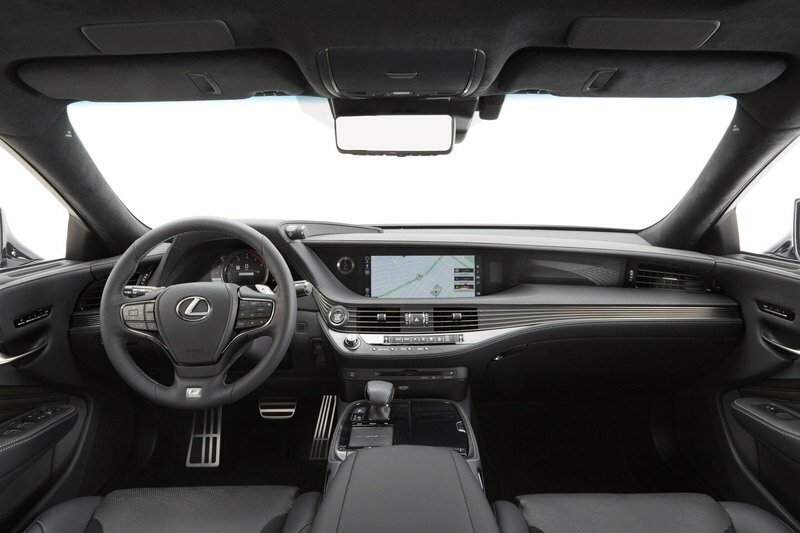 Finally, a new F Sport-exclusive steering wheel is in play while the instrument cluster gets a movable meter around the tach and speedo, a feature that is borrowed from the Lexus LFA. Inside, you’ll find an F Sport-exclusive front seat that is said to offer “enhanced support” and also features a perforated grille pattern on the seating surfaces. All told, the F Sport looks pretty good, but it still would have been nice to see a small bump in power over the standard LS 500. But, what do you think? Is the F Sport right for you? How do you feel about the new grille design? Let us know in the comments section below. 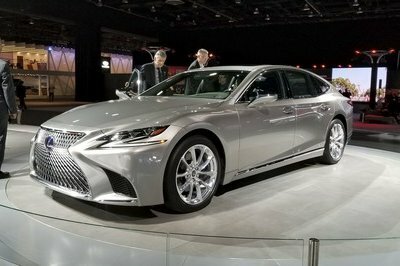 Having debuted its reinvented flagship sedan earlier this year—the all-new 2018 LS 500—Lexus is putting an exclamation point on this signature model with the new F SPORT model. 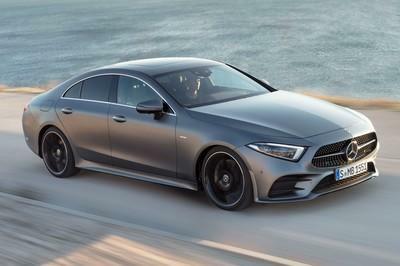 The LS 500 F SPORT, unveiled today and on display this week at the New York International Auto Show, moves the driving emotion needle even farther with handling enhancements and a performance-infused design outside and in.